Obstetrics and Gynecology. Specialists in the department provide high-end services for women, especially for those with high-risk pregnancies, abnormal bleeding, ovarian cysts and endometriosis. The Center offers minimally invasive gynecologic surgery—including laparoscopy and da Vinci robot procedures—a certified nurse-midwife program, vaginal birth after cesarean (VBAC) and an umbilical cord donation program. Maternal Fetal Medicine. St. Joseph’s perinatologists (fetal medicine specialists) focus specifically on women’s health and prenatal care/fetal health during complicated or high-risk pregnancies. These specialists can work with mothers as the primary caregiver or in partnership with a woman’s obstetrician. Gynecologic Oncology. The St. Joseph’s gynecologic oncology team is dedicated to providing world-class, supportive care for every step of a woman’s cancer experience, from evaluation and diagnosis to treatment and recovery. Conditions treated include endometrial, ovarian, cervical, vulvar, vaginal and gestational cancers. Pelvic Pain and Advanced Surgery. The pelvic pain surgeons at St. Joseph’s provide highly specialized care in diagnosing and treating pelvic pain. Their knowledge and years of experience in advanced gynecologic surgery enable them to treat a variety of conditions. Women from all parts of the country and beyond come to St. Joseph’s for its pelvic pain services. Two groups join forces to soothe patients' families. Recovery can be quicker with a robot on the case. 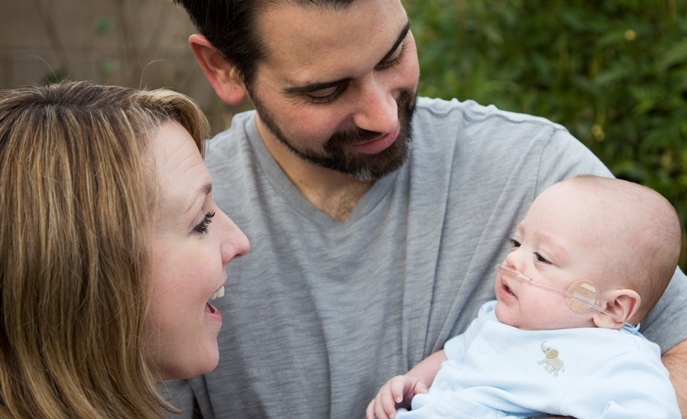 When doctors told Melissa and Andrew Duarte there was no way to save their unborn child without risking Melissa's life, the couple moved cross country to receive specialized care at St. Joseph's.